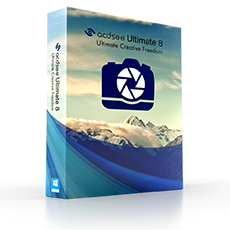 ACDSee Ultimate 8.2.406 ♠ Свежий софт и игры. ACDSee - программа для работы с цифровыми фотографиями. Позволяет просматривать цифровые фотографии, работать с RAW-изображениями, автоматически сортировать фотографии по параметрам, полученным из цифровых фотокамер и т.п. ACDSee is a single platform where professional photographers view, process, edit, organize, catalog, publish and archive their growing digital photo collections. 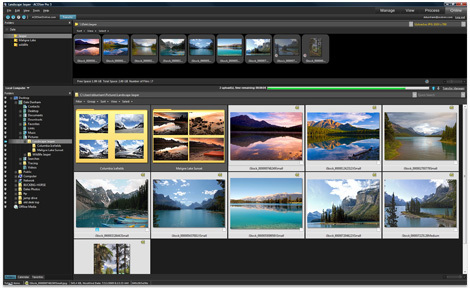 With the flexibility and control offered by ACDSee , you can manage your images the way that works best for you. No need to adapt your workflow to fit the cookie-cutter cataloging imposed by other photo applications. ACDSee is built to help you save time in all the key steps of your workflow. Each of the four modes - Manage, View, Process, Online – groups the tools that you commonly use during that particular step of your workflow. ACDSee Pro empowers you to view, process, edit, organize, catalog, publish, and archive your photo collections with precision and control. View your RAW images with lightning-fast image previews and support for most RAW formats from DSLR cameras. Get support for IPTC core fields with XMP. Shift time stamps on multiple images at once. Compare up to four images side by side.